The next interesting video shows a UFO/plasma filmed in Partille, Sweden with night vision on October 30, 2014. 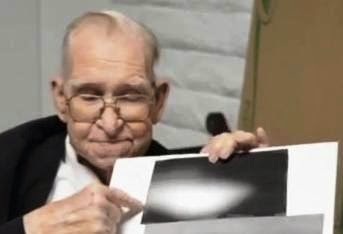 Many who have seen glowing Orbs, which have been captured both day and night by film and digital technology, believe they show light reflecting off unseen dust or moisture particles suspended in our atmosphere. Another common explanation is dust or water on the camera lens when the photo was taken or it is just an optical illusion. Some have speculated they are "spirit energy" or the energy signatures of ghosts. Many explanations and speculations, but what exactly are these Orbs? 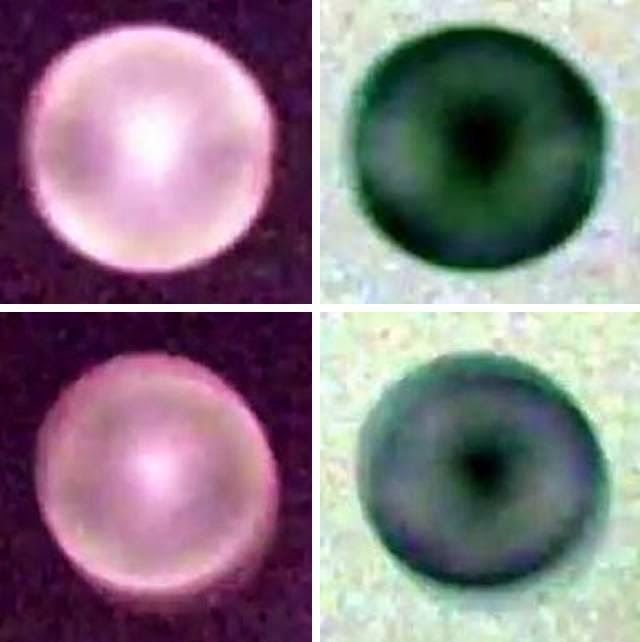 A research project in Florida studying orbs believes they're atmospheric plasma energy and refers to them as Unified Field Plasmoids (UFP's) described as a phenomenon related to ball lightning. But is it possible that such an Orb is more than only “atmospheric plasma energy”? Image left: UFO/Plasma Sweden. Left images are original, Right images are in negative. It seems the object is surrounded with a plasma field. The reader may think that such a method of inducing plasma flow about the hull of a UFO could only be the product of some sort of very advanced alien technology, but the amazing truth of the matter is that earthly science is already quite familiar with the process. 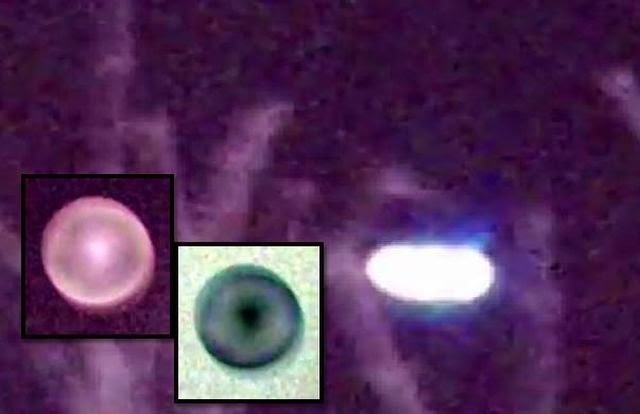 Are glowing Orbs, like the one in the video, man-made or extraterrestrial flying objects, a spiritual being or is it just a natural phenomenon?